Last year I worked for a nonprofit association on a marketing strategy for one of their projects. One of my tasks was handling public relations and sending out a press releases. The project lasteded for almost five months, so there was a lot of PR activities involved. Some of partners/ sponsors on the project were largest companies in the country. With that being said, it’s logical I had to submit monthly reports on our PR activities. I have to admit I didn’t have much experience at the time and one of biggest challenges was keeping track of my press releases. It might sound funny, but at first this is what my process looked like: I would write a press release, send it to journalists from my press list and google like crazy to see if someone published it. Back then, the only way of tracking distribution of releases was by googling it. And yes, there was a lot of googling going on at the time. Right after I accepted the fact that I was going spend rest of my life googling, I discovered Mediatoolkit. It was one of those magical moments involving unicorns and rainbows. A whole new world opened right before my eyes. Let me begin with explaining a bit about Mediatoolkit. 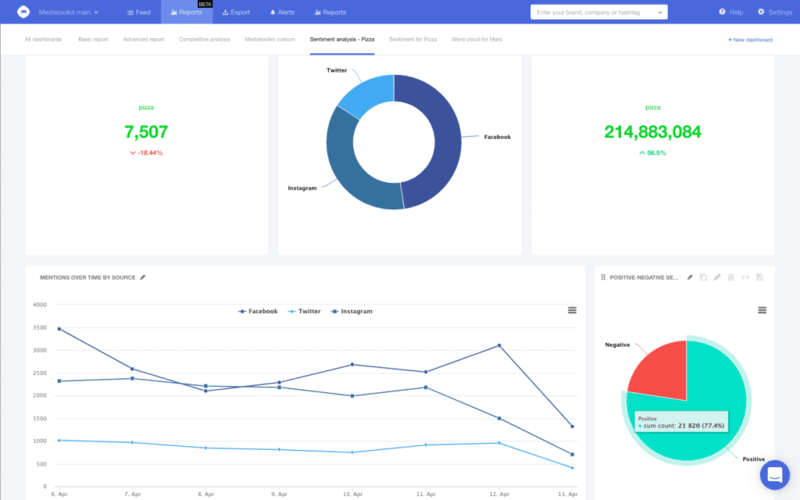 Mediatoolkit is a social listening tool that tracks all mentions of a company on websites and social media like Facebook, Twitter and Instagram. Facebook was especially interesting for me because it is social platform with biggest user base. Finally, greatest thing about Mediatoolkit is that it takes less than five minutes to find a new mention i.e. all of the tracking happens in real time! Mediatoolkit is keyword oriented, so once you register you need to set up keywords you want to track. It is really straightforward. I usually start by setting up the title of my press release. To do so type the whole title of your press release as your keyword. That way Mediatoolkit is going to notify you every time the whole phrase is mentioned. In the first paragraph I mentioned that I had to submit a lot of reports to our project partners and sponsors. At first it took me a lot of time to do so, and those reports really used some bad PR metrics. By using Mediatoolkit, my reports were suddenly much richer in data, which made our partners extremely happy. Now all I have to do is click on Export tab and Mediatoolkit automatically gives me an amazing report on reach, virality, and sentiment, alongside with data on number of mentions, sources, languages, and data on social interaction – number of shares, comments, likes and tweets of every mention. Note that this is a sample report. My project, sadly, was not about pizza. 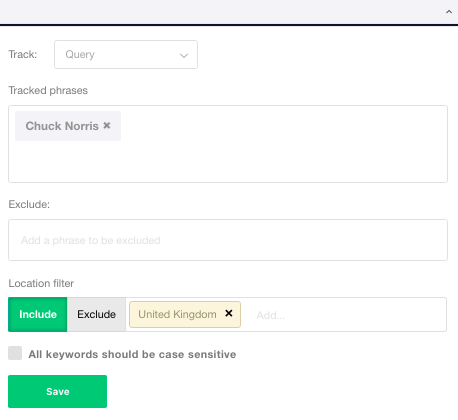 This whole process of setting up keywords lasts for less than 10 minutes and leaves me with a lot of time to think about other tasks i have to work on. Just imagine how many releases I missed, and didn’t thank to journalists for doing me a favour (because all the work was pro bono). And imagine how journalists are happy when they receive this kind of a thank-you-note. In those few short steps every single release is now in your dashboard in real time, and there is a bunch of useful data behind every mention! Mediatoolkit is media monitoring tool that tracks relevant mentions of your brand across the web and social media in real time. This article is exactly what I was looking for. Every business needs to monitor their mentions and image.